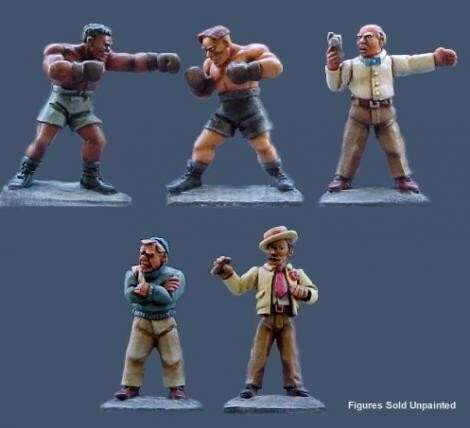 Classic boxers, a corner stone set of Pulp Era characters. Shown clockwise; Twister Ramirez, Pugsy Flannagan, the Ref, Owner Buddy Flynn. and Joey the Trainer. "Youse a bum Flannagan-an youse always will be a bum!"